Alright friends, here comes my bah humbug, outraged rant… and it’s not about rabbits. It’s about those poodle puppies. 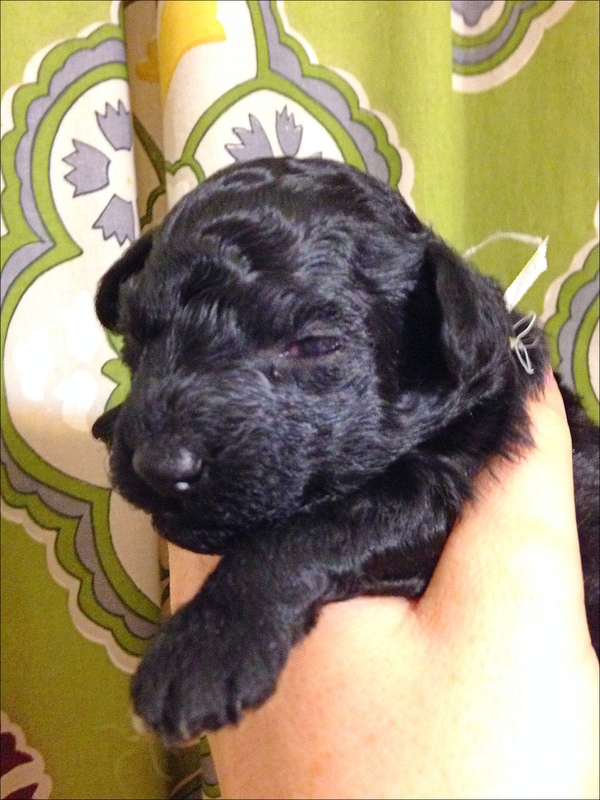 Our poodle puppies are ready to go to new homes and I posted their sale on several facebook groups this morning. Since then I have answered a bundle of inquiries on their pricing and availability because, seriously, who doesn’t think these little boogers are cuter than a bug?! What I didn’t realize before this, and what I think these people who are shocked at our prices don’t understand, is the effort and cost involved in bringing these pups to the table. This isn’t 20 years ago when people would just have puppies and offer them for free. Bob Barker and Animal Rights groups have seen that almost every reputable breeder has gone out of business. It’s fairly impossible to get a purebred, papered dog of a specific breed in your area. I spent time and energy researching a breed that I love and can talk about knowledgably. We searched a stud dog and went with the one that would be the best fit for our girl, complementing her both her strengths and weakness, even we had to travel several hours to arrange their meet up. We contacted the veterinarian throughout her pregnancy because it’s important to us to be ethical and put the welfare of our dogs as a priority. Since birth the puppies have kept us up at night because they’re in our house with us, visited the veterinarian, gotten their tails docked and dew claws removed. We’ve taken them and their mom with us if we left town to ensure their well-being. We’ve fed them quality food that we researched as best for their growth and breed. All of this is not to say we’re such amazing people; it’s to note that we have consistently invested money and intention into producing an animal that is set up for success to be a wonderful addition to anyone’s family. There were costs involved in this that we are out of pocket for and we did anyway gladly because we felt it was a best practice. I’ve searched all over listing across the country to come up with what seems to be a reasonable, fair amount to ask as far as pricing. After considering all this and taking into account our own desires to place them in homes where love, not price, is the main consideration, we priced our dogs on the low end of that pricing structure for the breed. When I tell a prospective buyer the price I am completely understanding it is not within their budget. It was a swing for us to purchase their mama and sometimes you have to save up to get what you really want! That’s perfectly fine with me as I respect your ability to make the right decisions with your finances. BUT… don’t come at me for being over priced and unethical because you wanted to spend less than the amount of a bag of dog food for a puppy! We are not a money hungry puppy mill! It’s also ok (actually ethical) for us to be compensated for our time and effort in creating a dog you actually enjoy spending your life with! It’s not particularly good mannered to post this frustration I have publicly, but I do hope it will help any readers at large who find us on some search engine of the world wide web realize there is a reason the pricing for purebred, pedigreed, family-raised dogs is not less than a monthly cell phone bill. THERE ARE EXPENSES TO RAISING AN ANIMAL ETHICALLY. This is a good thing for you, as a breeder who cares is a person who has made a commitment to ensuring as much as they can your satisfaction from your future companion! And that is my story. Sorry for the rant… and thanks for listening. I feel much better now. 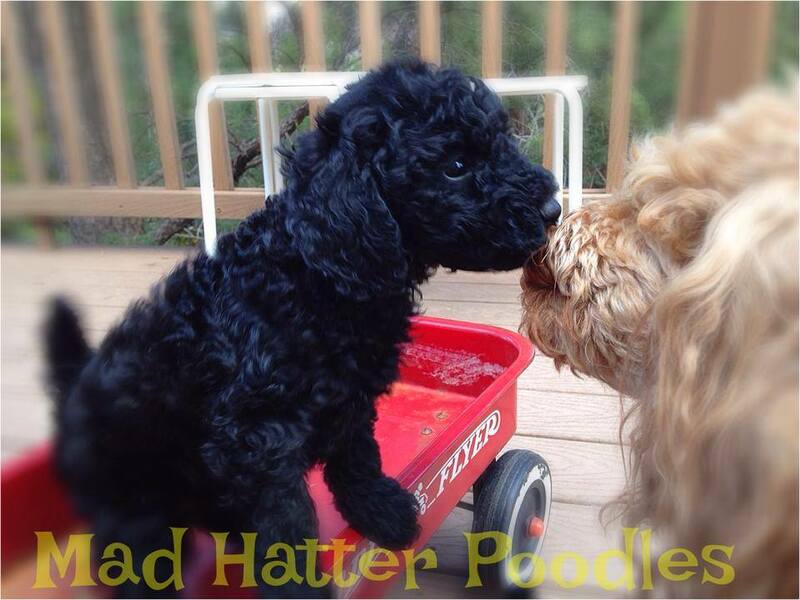 While dogs are not our main focus around here, we will occasionally have a litter of poodles available for sale. 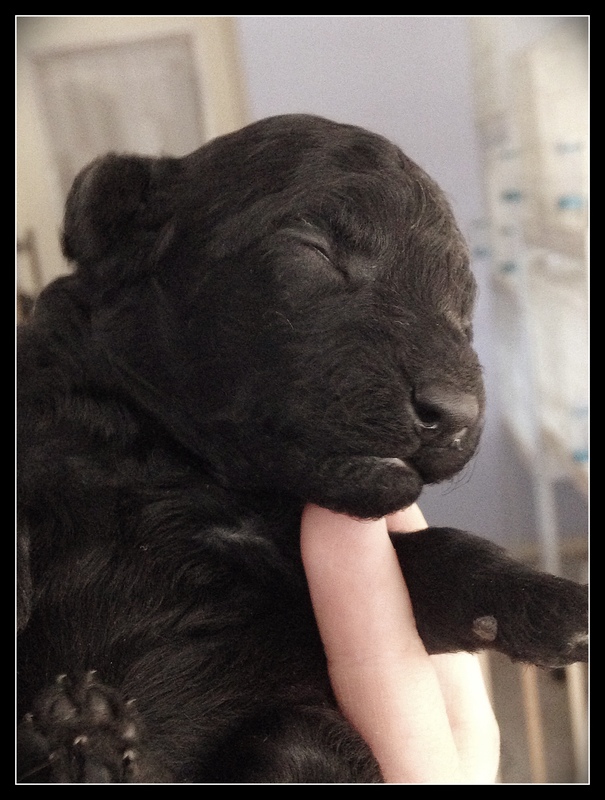 We breed selectively for red and/or black, our pups are CKC and APRI registerable. 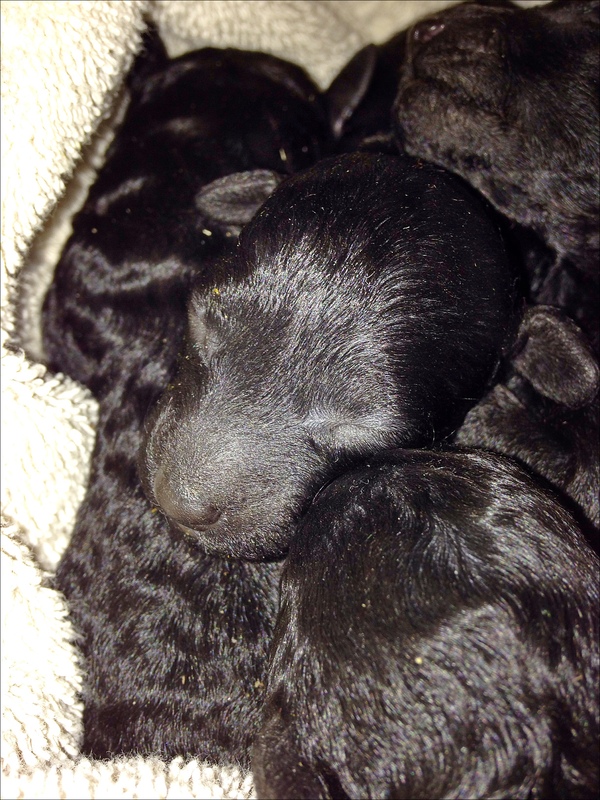 Right now we have a litter born 2/7/14 we are taking deposits on. 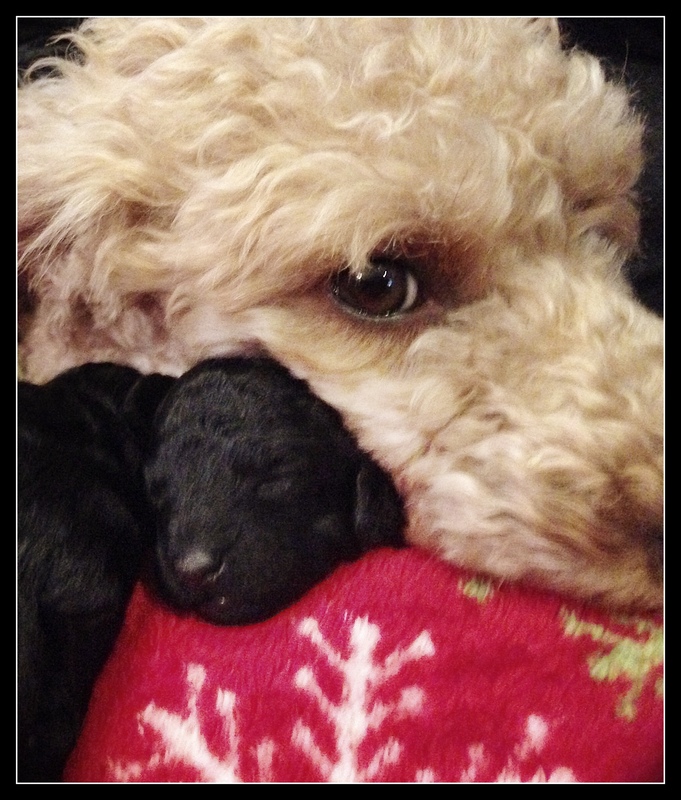 Mom is on the small side of miniature poodle, dad is a toy poodle. 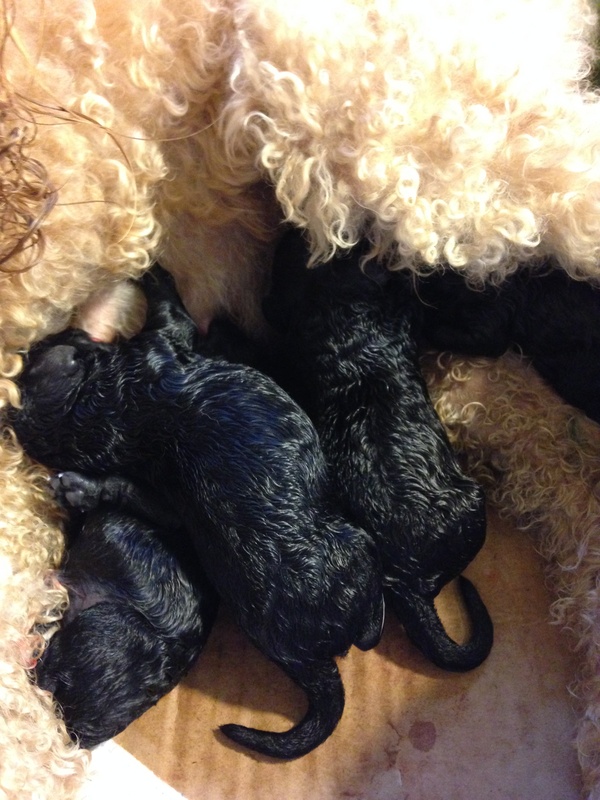 We’re waiting to see what the growth patterns predict, but these little pups are likely going to be toy poodle sized.